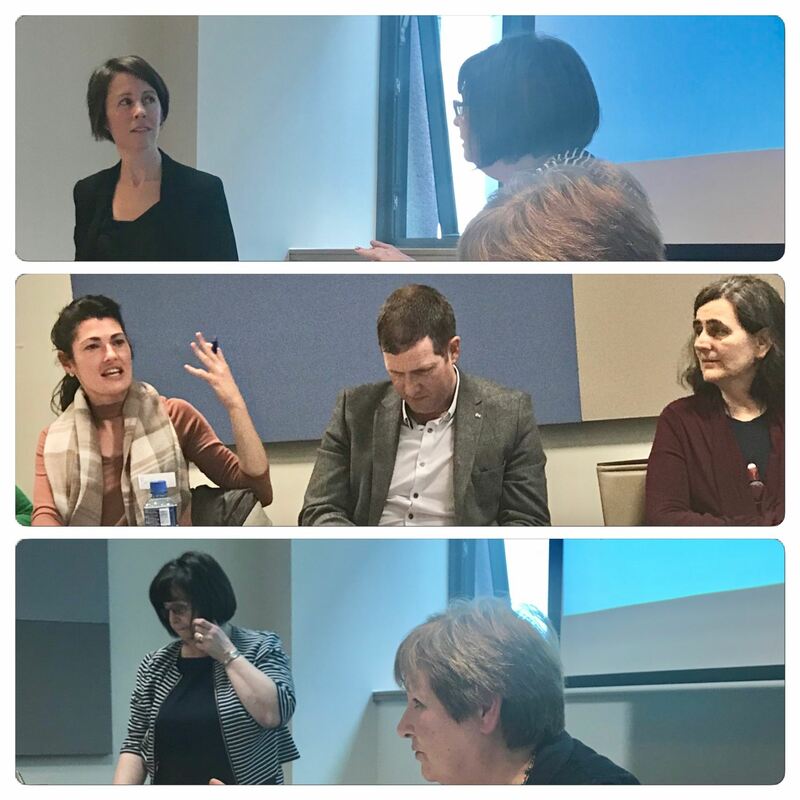 Our latest NEARI-meet took place on April 7th in University College Dublin (UCD) as part of the Educational Studies Association of Ireland’s (ESAI) annual conference. 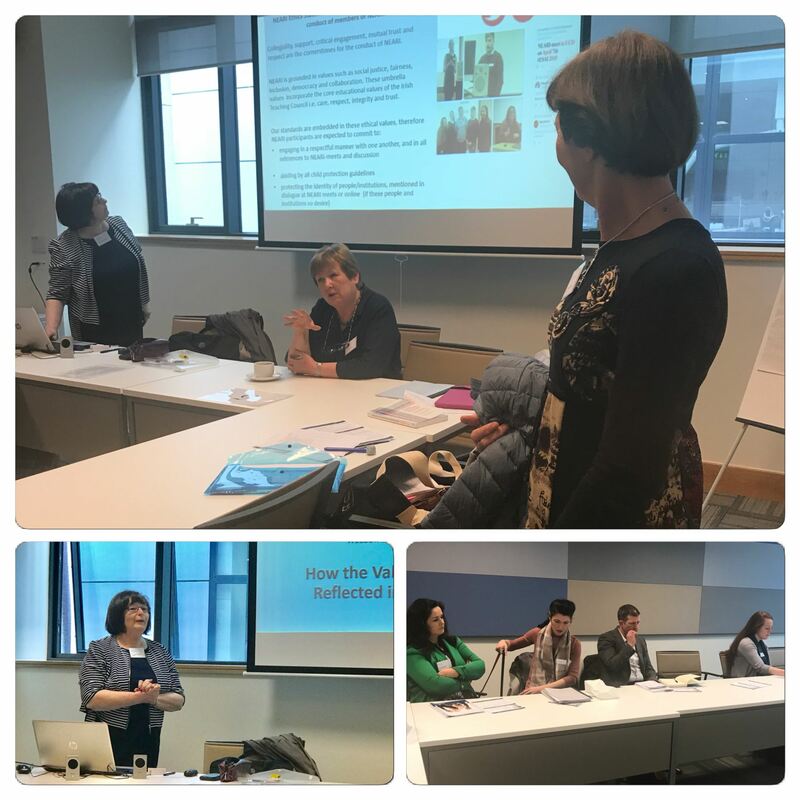 It took place in the lovely O’Brien Centre for Science and we are very thankful to Dr. Conor Galvin and his colleagues in the School of Education, UCD as well as was as the ESAI team for hosting our meeting. 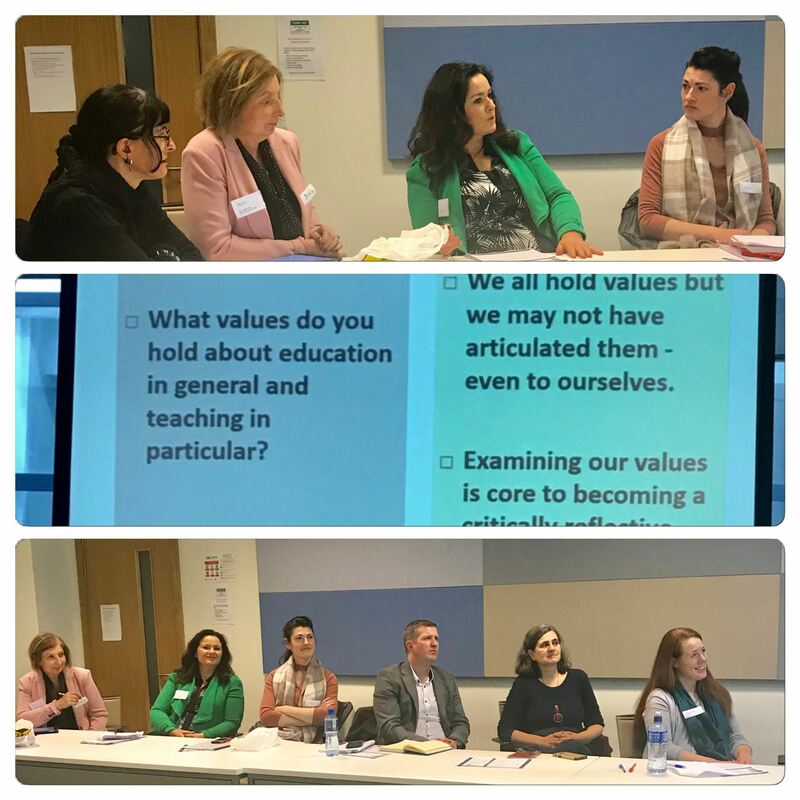 It was a lively meeting on the theme of Values and Purpose in Education. 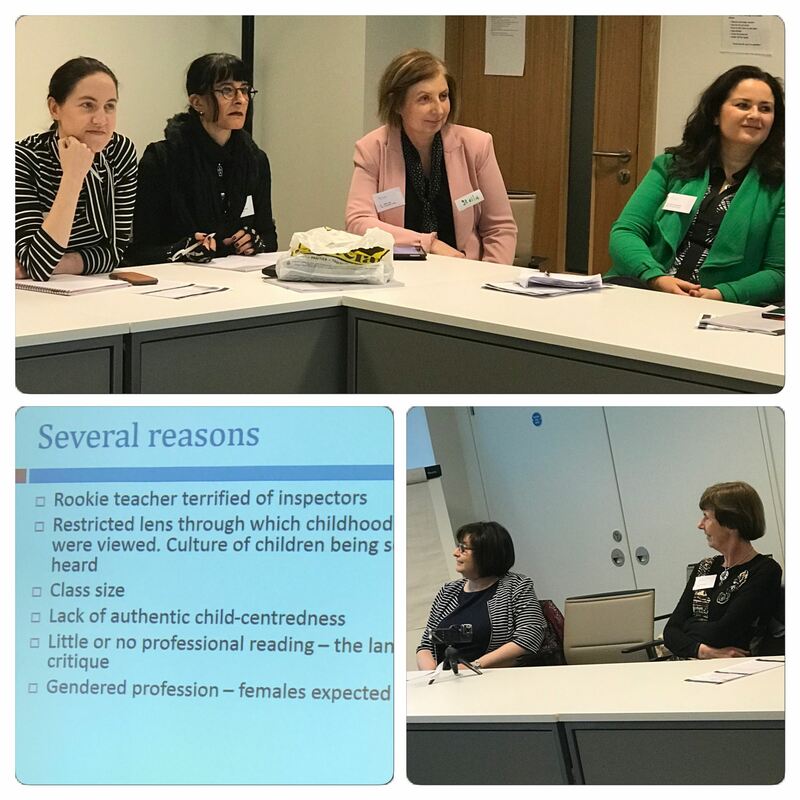 The meeting was kept on task under the watchful eye of Dr. Caitriona McDonagh and it commenced with group introductions, the sharing of NEARI’s ethical statement and permissions for digital recording. The thought-provoking keynote was given by Dr. Mary Roche. 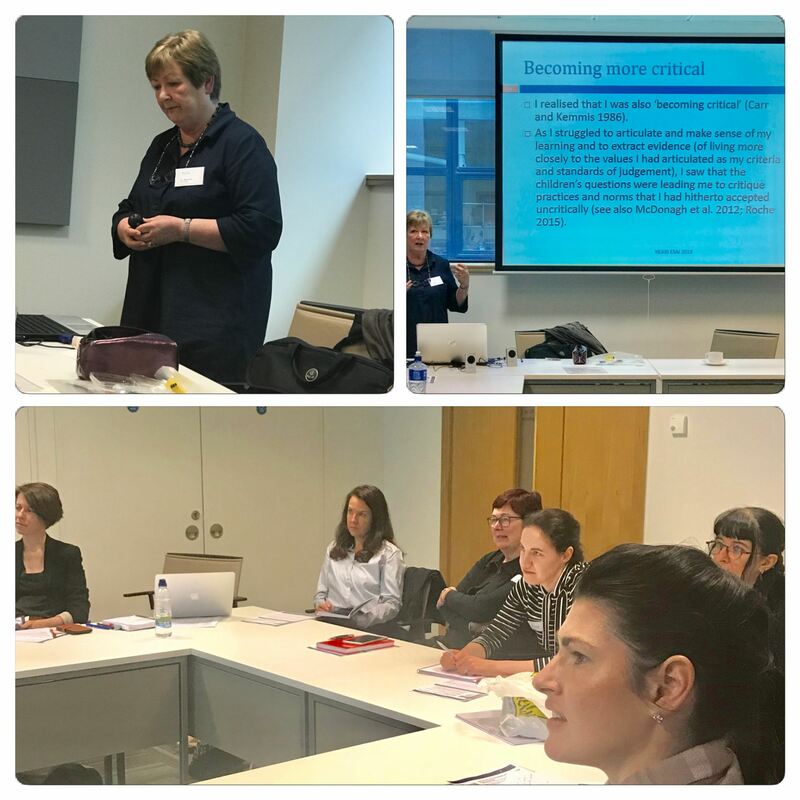 Mary’s presentation was entitled Action Research: clarifying Values and Purpose in Education and it drew on her learning from her own doctoral research on critical thinking and book talk for children. 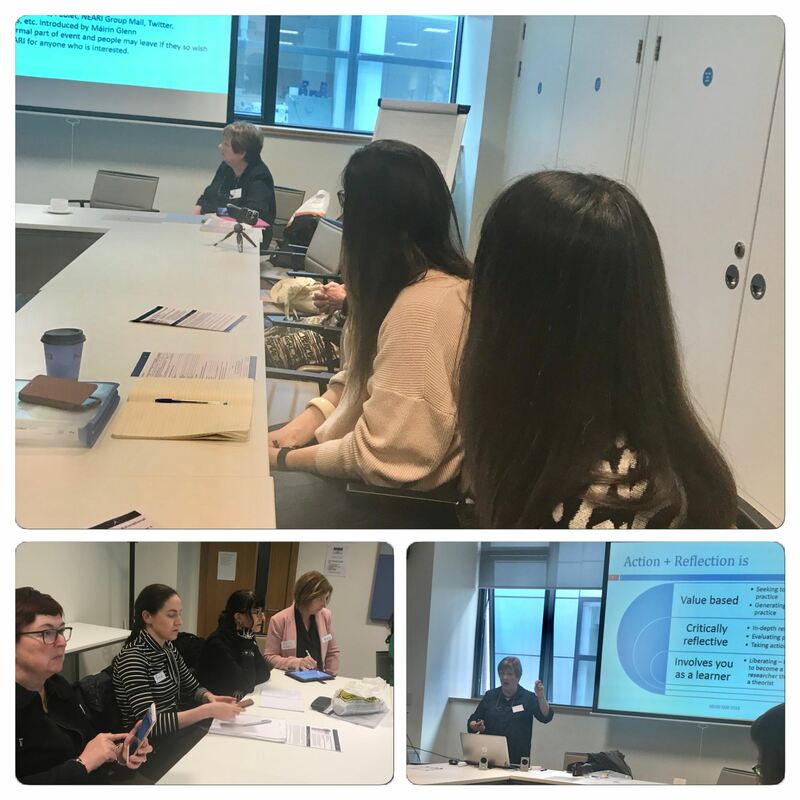 It was followed by an insightful Round Robin input by Jane O’Connell, who also updated us on the most up-to-date happenings with our colleagues at the Collaborative Action Research Network (CARN). Máirín Glenn showed some of the books and resources that are available on the resources section of the EARI website as well as updating everyone on upcoming events that may be of interest to practitioner researchers (see http://www.eari.ie/upcoming-events-of-interest-to-practitioner-researchers/). The meeting concluded with a discussion around the theme for the next NEARI-meeting and planning for the future of NEARI. Video clips from the NEARI-meet may be seen below. The next NEARI-meet will take place on September 15th in NUIG, Galway. If you would like to join NEARI, email us at info@eari.ie .